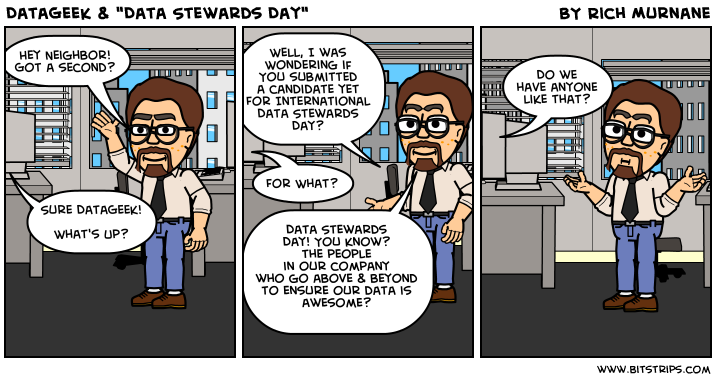 DataGeek is hoping his neighbor nominated him for "International Data Stewards Day", which you can learn about here. Nominations are due on September 26th and the celebration will be on the 11th of October! If you know someone please go ahead and nominate them, I'm sure they'd appreciate the recognition!